The Elgato Stream Deck has been out for a few weeks now and I’ve had a lot time to of try it. I was initially pretty skeptical of a device like the Stream Deck since the concept of a control pad for your stream isn’t too unheard of but Elgato has made a device with some promise. You can rig together something to do a lot of the functions that the Stream Deck has but if you’re a streamer and want a tool that is built specifically for you, Elgato has your back. At a glance, the Stream Deck is a programmable keypad with LCD keys that you would want to use to switch scenes in OBS, toggle things on Twitch, or just assign pretty general things like opening an app or web page or actual macros. It’s even simple enough to just program regular keys so if you wanted to actually just have a pretty, expensive number pad, you can do that. The keys are programmed with Elgato’s software and they make it easy for you to get what you want. You assign the keys with a drag and drop interface and many elements, especially those with direct integration, are menu driven so this process is very straight-forward. The specific integration is the first thing that needs to be talked about. If you don’t use Elgato’s Game Capture software, OBS, Twitch, Twitter, and TipeeeStream in some degree or some combination, the Stream Deck will immediately be a little less appealing. I’d say if you’re reading this and you don’t use OBS specifically, you can immediately just think of the Stream Deck as a really good looking LCD key pad. There’s lots of functionality regardless but the OBS integration is, in my opinion, the most useful. When Elgato announced the Stream Deck, I mentioned that the strength would really be what direct integration with these services would eventually mean. Elgato strikes me as a company that will eventually push to make more integrations happen in the future but until then, I’d say you should be very conscious of what platforms work natively with the Stream Deck right now. But let’s go over what exactly you can do with the Stream Deck to give you a better idea of what direct integration will mean for you. The Game Capture integration is obviously the most robust since the Stream Deck is an Elgato product. Elgato’s Game Capture software allows you to produce videos and stream without anything else if you’re using an Elgato capture card. If you don’t use Game Capture or can’t because you use a non-Elgato capture card, you can skip this part. For what it’s worth, though, Elgato offers a solid product and you can toggle most of the available options with the Stream Deck. Game Capture supports multiple different scenes and layouts via Stream Command and you can switch between these with the Stream Deck. The other really cool native feature is Flashback Recording which allows you to scrub back and re-watch something that happened moments ago, if you needed to do something like that. To piggyback off of this, Elgato allows you to on-a-whim save up to the last 30 minutes that’s stored in Flashback with the Stream Deck. Then, all the basics are present in the Stream Deck allowing you to start and stop the stream and/or recording, take a screenshot, and turn off and on your microphone. Again these are all basic features but it sets a good standard for what you can expect out of the Stream Deck. As we move through these close integrations, it would be worth it to explore alternate options available to really figure out how useful the Stream Deck can be. With Game Capture in particular, Elgato has opened up all these functions to any assignable hotkeys save for changing scenes in Stream Command. Obviously, if you are using Game Capture to stream, an easier way to change scenes is nice but the rest of the functionality can be achieved with other means if you really needed to. 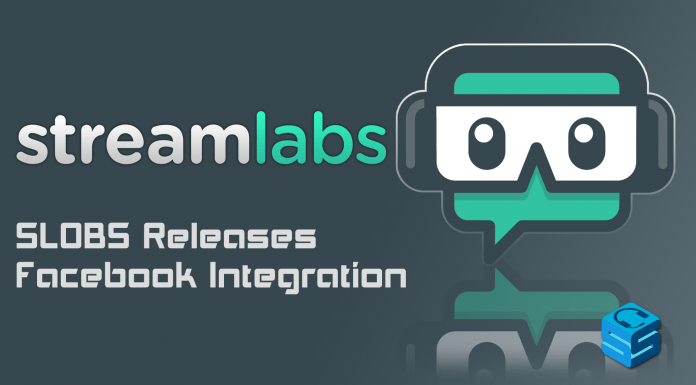 In the order presented in the Stream Deck software, TipeeeStream is the next integration. I made a much longer article about TipeeeStream as a whole so you can read that if you want to know way too much about TipeeeStream. The short version is that TipeeeStream integration was probably the most out of left field for me. The Stream Deck allows you to toggle web-based overlay elements from your TipeeeStream scenes so you can toggle all manner of different things like images, sounds, whole overlays if you wanted to, and even alert widgets if you were so inclined. The limitation of the functionality is really your creativity and how much you feel like you want to toggle on stream. My problem with TipeeeStream isn’t necessarily with how it’s integrated because it makes sense but more with TipeeeStream as a service. I find TipeeeStream to lack some polish and I wonder how having this kind of control will be beneficial for your average streamer. Unlike the Game Capture toggles on the Stream Deck, the TipeeeStream features are not available without Elgato’s hardware. TipeeeStream does allow you to manipulate on-screen elements when alerts happen but if you wanted to personally have that control, you would need a Stream Deck. The next integration is with OBS. The Stream Deck is very convenient with OBS right out of the box. The most obvious feature with the Stream Deck is as a scene switcher. As a scene switcher alone, the Stream Deck is very handy and the direct tie in with OBS makes it so the key for your active scene is lit while non-active scenes are dim. At a certain point, changing scenes will just become muscle memory and the visual part wont matter but this is a subtle visual touch that I can really appreciate. The visual aspect can be very convenient if you don’t happen to stream with two monitors. You can just look down at the Stream Deck to see what scene is active so you know where you’re at without having to Alt + Tab or anything. Beyond that, you can toggle on and off individual sources in OBS as well as individual audio channels. OBS already makes all it’s functionality accessible with hot keys but the Stream Deck makes it very simple and more intuitive. The scene switching, for instance, is more intuitive in the Stream Deck editor because you assign the button based on the scene collection and scene name instead of arbitrarily assigning keys to make the switch. Once you want to start controlling your entire OBS sessions just with hot keys, then you’ve got more than a handful a scenes, most likely, and that can start to get annoying. Not to mention the fact that your assigned hot key might overlap with something in a game you’re playing or some random Windows function your just not aware of. To be honest, this might seem like infomercial levels of solving a problem that doesn’t really exist but this level of convenience is something that goes a long way and will ultimately allow you as a broadcaster to to focus more on being entertaining instead of having to micromanage your production. To that point, toggling sources with the Stream Deck is much more convenient than the alternative. Like with scene switching, active sources are lit on the Stream Deck and become dim when they become inactive so you can know at a glance if something is on or not. All this functionality is possible without the Stream Deck but it’s obviously not as straightfoward. That being said, it’s interesting to see that not everything made the cut for the Stream Deck. You can’t start and stop the stream or recording, you can’t toggle the replay buffer in OBS, and you can’t switch between transition styles despite the fact that all these things are possible with hot keys. Maybe you don’t need a button to start and stop your stream at will but the rest of the options could be nice to have as they are available as normal hot key options anyway. Twitter is the next integration and it’s obviously the most simple tie in. The Stream Deck allows you to hit a button and tweet. It’s that simple. You can apparently only post an identical tweet once every 12 hours so you don’t need to worry about accidentally spamming your followers. I feel somewhat conflicted about this integration because you probably tweet the same thing every time you go live but a more adept social media person would probably tell you to make every tweet more personalized and engaging. To me, the easiest way to disengage someone from your Twitter is to tweet the exact same thing every day. For what it’s worth, you can make multiple different Twitter buttons in the Stream Deck so if you’re dead set on using this instead of manually tweeting, you can at least have a few different tweets on hand. The last integration is Twitch and there are more options than I initially thought there would be. Elgato recently released an update to add more of these features so as of right now you can send a message to chat, play an ad if you’re partnered, display the current number of viewers directly on the Stream Deck, assign your stream title and game, and toggle sub-only chat, follower-only chat, emote-only chat, and slow chat. A button to spam the chat is fun in it’s own way and showing the viewer count can be nice if you want to know that kind of thing. All the chat mode toggles are nice to have on demand and can really enable cleaner interaction. If you want emote only chat for just the next 15 seconds or something, hitting a button to enable it is more fun than fidgeting with menus or typing out the command. Regardless of how useful you find the Twitch features, you can’t use them at all without the Stream Deck. You could probably rig some other app to make these things happen but it wouldn’t be the easiest thing. The only thing that maybe seems a bit bad in this bunch is the stream title and game because the game doesn’t auto complete or anything so if you happen to mistype the game, you won’t be categorized correctly. If all else fails, the Stream Deck has some pretty basic functionality you can use regardless of software you use or platform you prefer. You can use the Stream Deck to open web pages or applications on your computer, there’s basic multimedia controls you can use, as well as regular hotkeys for anything the Elgato might have missed for you. The nice thing here is one option is to have a hotkey “switch” to help replicate the visual effect from scene and source changing built-in for OBS. It might be kind of hard to rig together perfectly since you have to assign one hotkey to an “on” state and another hotkey to an “off”. It does look like when assigning hotkeys, it listens for your hotkey when you assign it so you can’t use extra F keys you don’t actually have or anything. Finally, if you find yourself running multiple different productions and want different key sets for each, you can import and export your setup in the preference menu. We’ve spent this entire time talking about the functionality of the Stream Deck but not the unit itself. This is the second Elgato product I’ve used for an extended period of time and it’s the second product I’ve been impressed with. Elgato goes for a sleek, modern look for their products and the Stream Deck is no exception. This unit is all black with no superfluous edges or anything so the Stream Deck is very understated despite how distinct your keys might be once you eventually add custom icons. Speaking of icons, Elgato provides default icons for every function you can assign but you can quickly and easily customize the look of your keys. This is probably the biggest benefit of having LCD screens for each button. If you’re more visual, you can assign custom icons for everything. 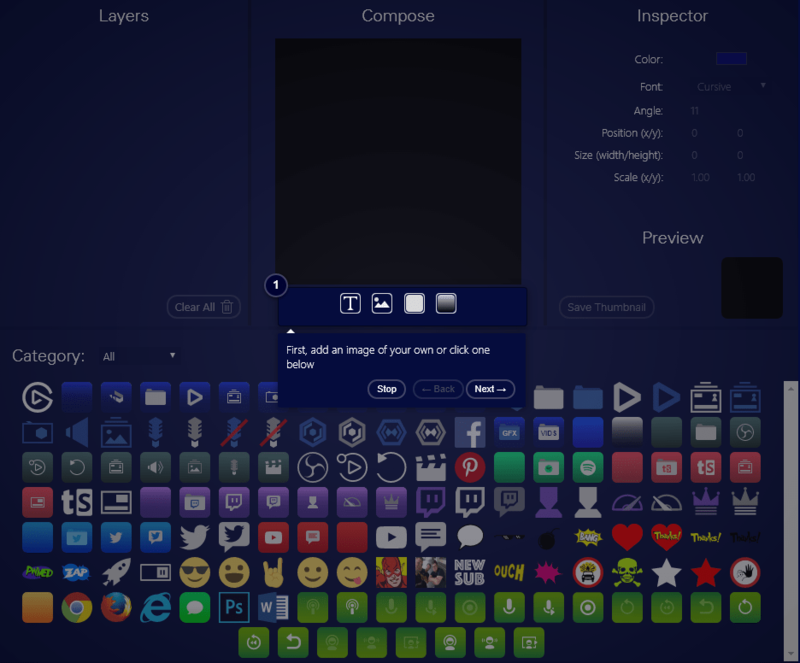 If you don’t have graphic design skills or an artist on hand, Elgato has a tool on their site to make some basic icons for your Stream Deck. The process of actually changing icons is as easy as dragging and dropping your icon in place but I should mention there’s no cropping or sizing tool built into the Stream Deck software; you need to drop in a square otherwise it won’t look right. I’d say there’s a lot of consideration here over whether or not we could do all this stuff with the Stream Deck but not whether or not we should. I’ll preface this by saying that wasn’t an open invitation to talk about Jurassic Park but also I’m not going to sit here and tell you how to run your stream. If you want a key to turn on and off your webcam and you want to spam it and along with changing your scene every 5 seconds and spam your chat with some copypasta, I’m sure the Stream Deck is really enabling for you. If you don’t want to do that, I’d say there’s a lot of value in subtlety and cleanliness. If you’re a gaming stream, let the focus be entertainment generated by you playing games, not remixing OBS. A tool like this is capable of a lot of different things so keep that in mind while you’re considering picking one up for yourself or imagining how you’d use a Stream Deck if you had one. When the Stream Deck was originally announced, I pointed out that other very similar options do exist so why don’t we explore some of those. At it’s most basic level, the Stream Deck is a 15-key keypad that’s highly customizeable and features LCD buttons. That in and of itself is pretty compelling for $150 mostly because what you’re getting looks and feels high quality and the LCD key aspect is pretty nice. If functionality is the most important aspect to you, the most comparable option is the X-Keys XK-24 which is a more general USB keypad. It’s not as visually appealing, sure, but it also has 24 keys instead and is a little cheaper at $140. As I mentioned in the initial announcement post as well, other cheaper options do exist if you just need a basic USB key pad. I initially linked to an Instructables post on rigging a USB numpad for an application like this for under $30, Cherry offers keypads for under $100 with their own key programming tools, XSplit natively supports MIDI devices for hotkeys and OBS may soon to follow, and Annemunition recently updated her setup diagram which features a Novation Launchpad intended for Ableton but it’s clear that if you’d got something and want it to work in this situation, there’s probably a way. I make these comparisons not necessarily to unsell you from the Stream Deck but to give you a little bit of perspective on your options. If you entered into the video production world because streaming requires you to pick up some knowledge, tools like this are probably brand new to you and you might not even know that options like this are available and that video switchers go up to have even 50 or more buttons of you need that many. At the very least, when considering a Stream Deck, take a look at these other options and pick Elgato because it’s the best available to you and not necessarily because it was the first. Whether the Stream Deck is worth it for you is a question I’ve been struggling with since it was announced. At $150 it’s not the biggest investment you’ll make as a streamer especially if broadcasting and content creation is something more than a hobby in your mind. I definitely think the Stream Deck is convenient as a scene switching tool and since it’s there, I find myself using the multimedia buttons to skip songs and I’ve even considered mapping Photoshop tools to the Stream Deck but I especially don’t want newer streamers to think you need something like this to get started. For everything I did just say about considering your options, the customization and ease of use on the Stream Deck make it a very appealing option if you are considering something like this. As an XSplit user, I would definitely prefer to have direct integration there but I’m sure the list of things Elgato wants to add is long and the fact that it works as a regular macro pad means that for now the Stream Deck is at least functional with XSplit. I don’t want to get too hyperbolic and say that streaming has changed since I’ve started using the Stream Deck but Elgato certainly has made a nifty tool. It’s definitely become a peripheral that I would have a hard time parting with. I’m not going to tell you to buy something based on potential but I’m sure Elgato will continue to update the software and make it more robust as time goes on just as they’ve done with their capture cards. Streamers and streaming in general is still a niche in the gaming community so it’s great to see such a well-made and professionally presented tool. 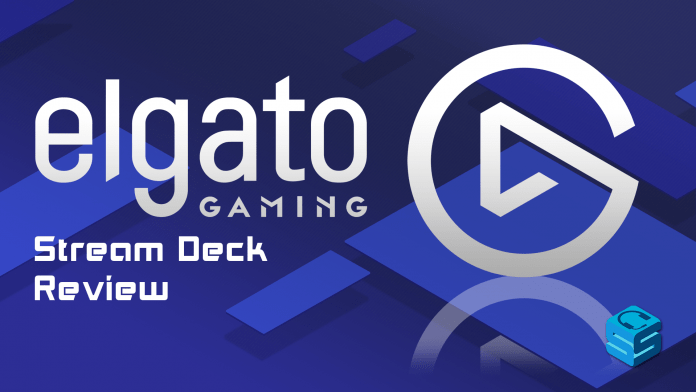 Elgato established a strong base with the Stream Deck and I can’t wait to see what’s next. Disclaimer: Elgato Gaming provided the reviewer a copy of the product.